In case you weren’t in on the joke, last week was April fools. That means a lot of companies and publications had some fun with some pretty clever gags and gimmicks. Some of these were fake news stories or fake products. Some companies even went the extra mile and waited till April 2nd to really pull one over on us. So without further ado, here were our favorite April Fools pranks . You almost had us Google. The tech giant was all in terms of April fool’s day pranks from the Minion “mic-drop” email feature to goofy modifications to their apps and even silly product launches like this. 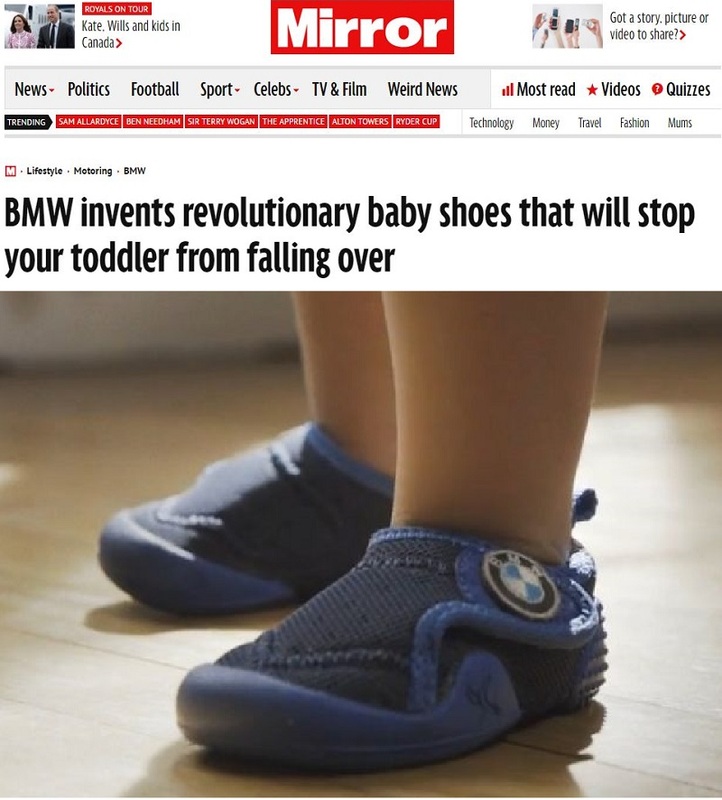 UK Publication, Mirror announced that automaker BMW was getting into the business of making baby shoes. “The car manufacturer has created the xDrive Baby Boots designed to help children under the age of three hold their balance. Sure we laugh now, but given BMW’s reputation for merchandising, was it really that much of a stretch? We’ll admit that we at the Endurance offices almost fell for this one. See we spend a lot of time in an office environment and any chance to make working hard at our desks that much more fun and comfortable would be one we would leap at. The ridiculous $6,570.00 asking price was more than a red flag. Even still, the product is available for purchase on Porsche’s website…but like…really? Since their heart monitoring tech, we wouldn’t be surprised what other shenanigans Lexus would come up with to better strengthen the bond between driver and vehicle…but Velcro seats? You’ve probably heard more than once this year “if ___ wins, I’m moving out of the country!” Well Esurance decided to have a little fun at that expense with a new program that would insure your home in case of your sudden exit out of the country after an election. This “charity program” would allow people to trade in their used vehicle to adopt a child. Yup totally legit, no joke to be found here /s. All in all April Fool’s day can be annoying to some but in most cases it’s just harmless fun. These were our favorite jokes across the net, which were yours?